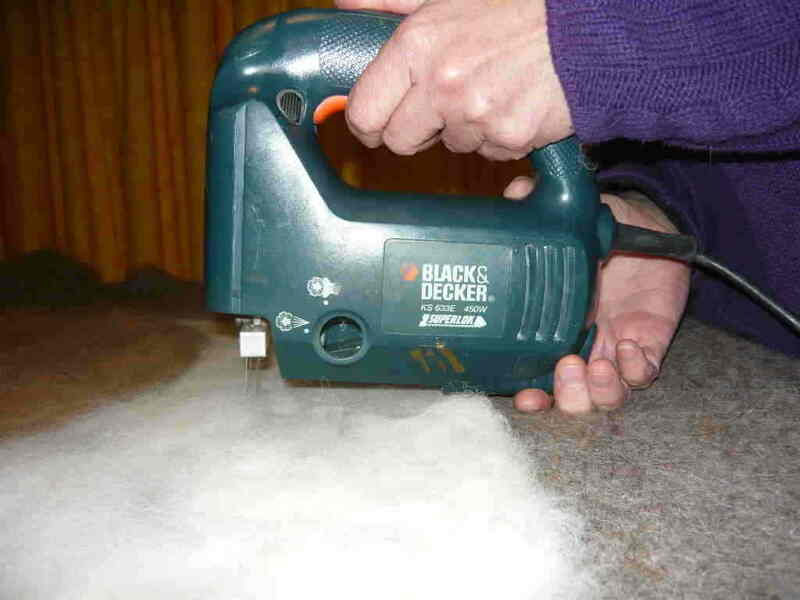 When we started this blog and renovation the one thing that kept coming up was what can we use to put on top of our lovely, but cold, Tas oak polished floors. The answer is rugs. The problem was that we could not find good, natural, eco rugs at a price that we could afford. We tried it out on a small piece and it worked beautifully. Now for the large rug. We had designed a motif for the house which we intend to use throughout and we blew it up and tranferred the design on o the felt. 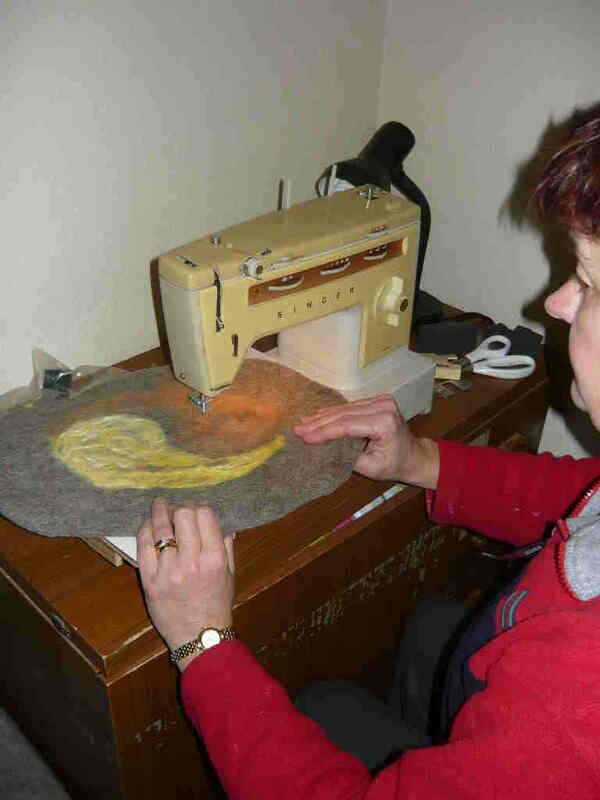 Mandy used a hand needle felter to fix the rovings and then onto the machine. It worked fine but you have to roll up the rug to fit it under the arm. Also the needles tended to break and they are quite expensive at $2.00 each. If you break all six on the adpator that is $12.00 a time. Back to the drawing board. I was moving a foam mattress inside when it came to me. You use foam under the felt for the needles to go into. You need something that will go up and down mechanically. 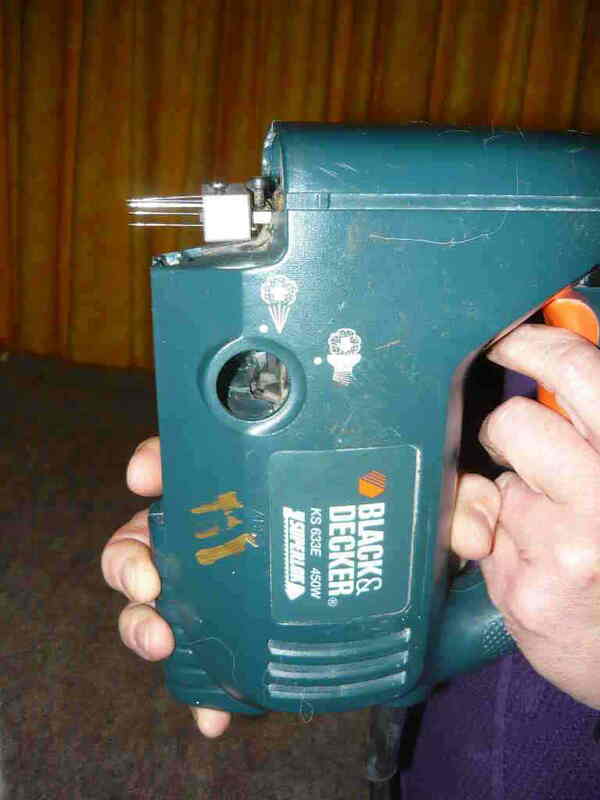 I had an old jigsaw power tool that still worked but the blade holder was worn out. It had a variable speed control which might help. All I had to do was figure out how to adapt the needle holder to fit onto the jigsaw. Turned out to be so easy, remove the jigsaw blade holder, slip on the needle adapter and tighten the screw. Too easy. It really worked well. 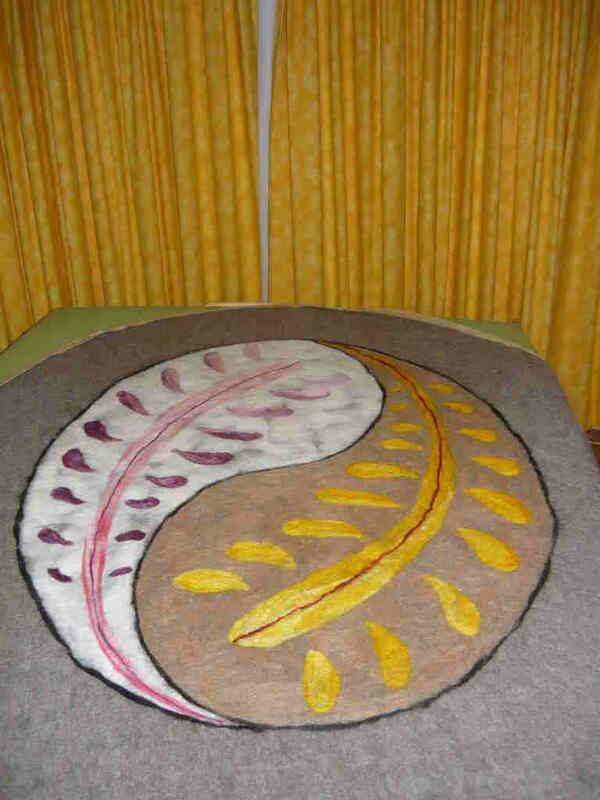 The rug was spread out on the foam mattress and Mandy fixed the rovings on with the hand needle felter like before and then we went over it with the jigfelter. Brilliant. The rovings really felted well but it kept on breaking needles. 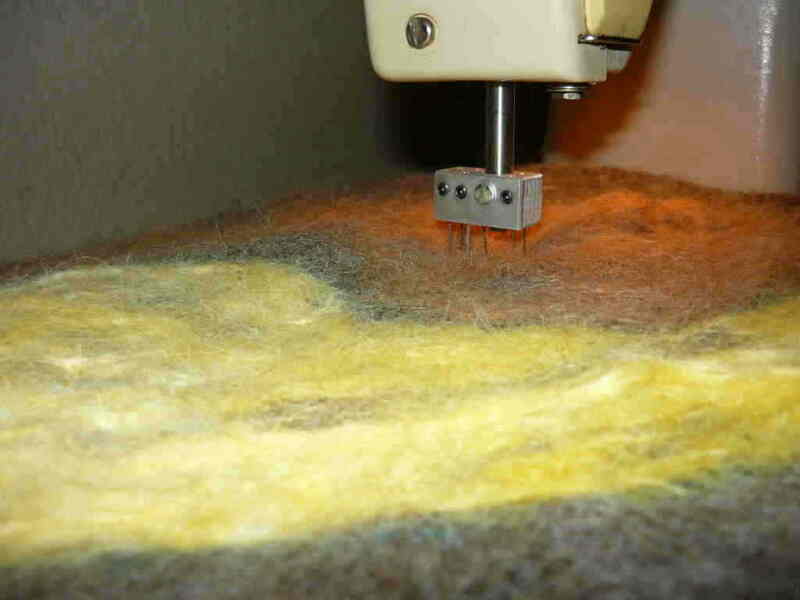 Another trip on the internet and we found a supplier of all things needlefelting Highland Felting & Fibre Supplies, they had heavier duty needles at an affordable price. Fixed those into the jigfelter and hey presto no broken needles and it is all working brilliantly. Almost finished and we have found a supply of eco rug underlay for nonslip made from pure latex to put underneath it.